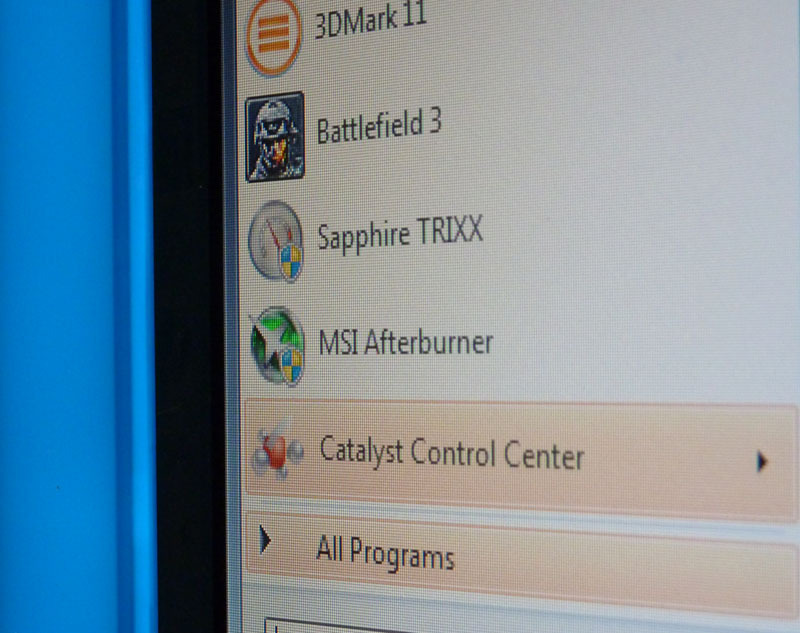 PC monitors are often overlooked when specifying a new build. Most potential purchasers settle on a type of technology - IPS, MVA, TN, et al - and then pick out a suitable monitor from a sea of available options. A full-HD, 1,920x1,080-resolution panel inside a 22-24in chassis is most popular these days, and a quality monitor can be purchased for £150, if not a little less. But there are a few monitors that literally catch the eye. 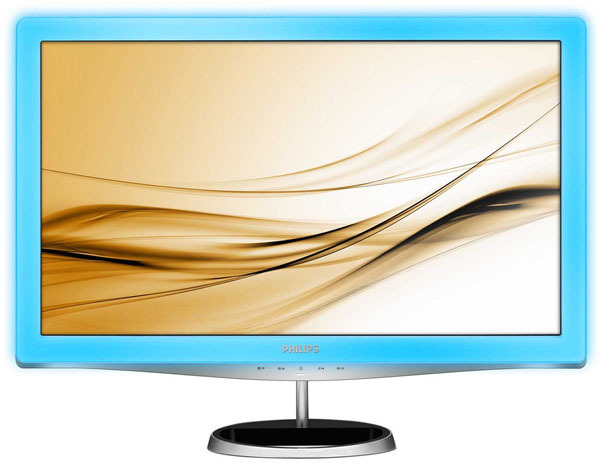 One such offering comes by way of the full-HD, 23.6in Philips LightFrame 2, costing £200, and it stands out for one simple reason: it has a lit bezel that, the company says, not only looks good but also has honest-to-goodness health benefits. Let's explain some more with a proper look. Formally known as the 248X3LFH, the thick bezel on an otherwise elegant design gives part of the game away. Pull it out of the box and the dark green bezel looks somewhat ungainly, a throwback to 10-year-old screens, which is at odds with the modern aluminium stand and silver accent at the bottom of the panel. There's no height adjustment on this model, mind, and the sole means of changing the default setup is via a -5/+20° tilt. A reasonably sleek profile is helped by having an external power-brick, and PC connectivity is through either two HDMI connectors or the archaic VGA. A headphone socket rounds off the connectors at the rear. One usual advantage of HDMI rests with one-cable connection for a monitor's speakers. The LightFrame 2, however, foregoes audio, though it can be pushed out via the aforementioned headphone socket. But matters improve when powered up. The bezel, which is 24mm thick, glows a soothing blue, as shown in the picture above. Philips says that the " LightFrame technology is based on the scientific principle that blue light passed through the eye's third receptor refreshes your biological clock, energizes you and gives you a greater sense of well-being." Point here is that most people use PC monitors for multiple hours per day - we can often break 10 hours at the office - so looking at a colour that purports to reduce eye strain, even somewhat subconsciously, is a novel way to approach monitor design. We don't have the requisite medical qualifications to verify or refute Philips' claims, but having used the LightFrame for the best part of a week as a direct replacement for one of the editorial PC screens, we've become accustomed enough to the glow that moving back to a regular monitor feels like a backward step to some degree. The glow works best when the monitor is used in an office with little natural daylight flooding in. Placed against the far wall in our office, where natural light is at a premium, and as corny as it sounds, the glow feels plain pleasant. Like most monitors, the bezel sits slightly in-front of the actual panel. However, the LightFrame's design means that rather than be situated just a couple of mm forward, as is the normal, the bezel, on first glance, juts out by a noticeable amount. You quickly get used to it, granted, yet it sometimes feels as if the panel is a smidge too far back, especially if viewing a window on the very edge of the screen. Office opinion on the LightFrame 2's aesthetics is mixed; some love the glow and others think it's gaudy and blinging. The intensity of glow can be changed to one of three levels through the on-screen display (OSD) - we left it at the maximum 'three' - and it can also be switched off altogether. The glow is consistent across the central parts of the bezel but a little darker around the edges, and it reminds us of the Intel blue; you really have to try it to see if the perma-glow works for you. Speaking of the OSD, it's a close copy as found on the recently-reviewed Brilliance screen. Easy to work with and providing instant updates when settings are changed, we'd recommend users fiddle with settings to remove a very slight blue tint present on the default image - and no, this isn't light leaking in from the sides. Spend a little time in the OSD and the LED-backlit LightFrame 2 produces a decent, clear picture that's reflective of a monitor costing £150. Philips uses a Twisted Nematic (TN) panel here, meaning viewing angles are narrow and blacks are not as deep as those previously seen on comparable IPS-based screens. There's nothing intrinsically wrong with the LightFrame 2's picture, yet it lacks the punchy resolve of IPS and VA monitors that have previously passed through the labs. Bags of brightness and above-average contrast mark out the LightFrame 2 in our subjective film-viewing tests. Motion is handled well and, interestingly, the glowing bezel does little to distract your attention away from the action. Move over to fast-paced gaming and a hint of ghosting is perceivable, reinforced by the split-second trail left behind when vigourously shaking a mouse's cursor against a black background. Performance, then, is consistent with that portrayed on a number of TN-type screens. Power consumption, too, is average-to-good, coming in at 20W when playing a film.